Choose from this list of free printable bridal shower games. 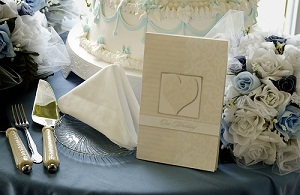 They are an easy way to plan for the special day...Just Click, Print and Play. Making the bride-to-be feel really spoiled is part of the fun when your girlfriend gets engaged. Throwing the best bridal shower is part of that fun. Using games that the guests actually WANT to play is even better. Review the list of games and see what fun you can create. Party games are an essential component to throwing a successful bridal shower. As the hostess, you need to put some thought into the right games for the theme. The right bridal shower games will serve as icebreakers and will allow your guests to compete and have some laughs while doing so. You can spend your hard earned money buying bridal shower games from a party store or you can try these fun, printable bridal shower games for your next bridal shower! There are several more free games you can choose from on this website. We are happy to offer the directions and some more ideas on how to make the bridal shower fun for the guests and memorable for the bride-to-be. Here is a little bridal shower etiquette tip: The Maid of Honor is typically the party planner. She should make a special point of including the other wedding party members. This means the bridesmaids as well as the mother of the bride and the mother of the groom! It is perfectly acceptable to ask each one to take on a responsibility. These could include recording the gifts and givers, running the party games or helping to plan the menu.